I don’t like name calling but David Cameron is an arse, and is clearly undergoing some kind of mental breakdown no doubt brought on by his endless lies. 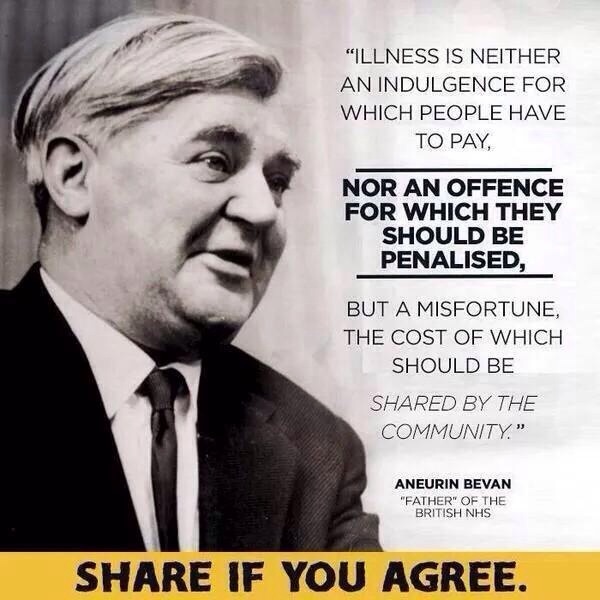 The NHS is born on July 5 1948 out of a long-held ideal that good healthcare should be available to all, regardless of wealth. When health secretary Aneurin Bevan opens Park Hospital in Manchester it is the climax of a hugely ambitious plan to bring good healthcare to all. For the first time hospitals, doctors, nurses, pharmacists, opticians and dentists are brought together under one umbrella organisation that is free for all at the point of delivery. The central principles are clear: the health service will be available to all and financed entirely from taxation, which means that people pay into it according to their means. The biggest change in the Act, is…. It removed from the Secretary of Health responsibility for the health of citizens, which the post had carried since the inception of the NHS in 1948. Perhaps most infamously, the Conservatives repeatedly promised before the general election that there would be no more “top-down reorganisations” of the NHS (Andrew Lansley, Conservative Party press release, 11 July 2007 ). In a speech at the Royal College of Pathologists on 2 November 2009 , Cameron said: “With the Conservatives there will be no more of the tiresome, meddlesome, top-down re-structures that have dominated the last decade of the NHS. Iain Duncan Smith Who’s welfare ‘reforms’ have resulted in a number of deaths. The list is endless – google it. Side Note. I’m a disabled man (can’t walk) I’ve been trying to go back to work since 2012 – with no success. 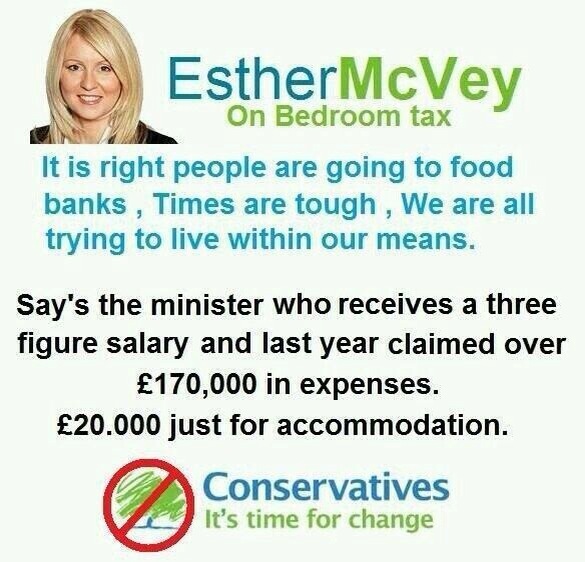 Esther Mcvey Who has been caught lying so many times we no longer believe anything she says. Mark Harper Employed an illegal immigrant to clean. He’s now Minister for Disabled People. As a disabled young-ish man he’s in need of his P45! Lost my calm there, sorry. David Cameron has used his first speech as Prime Minister at the Conservative Party Conference to call on the country to “pull together”. The Conservatives’ slogan “We’re all in this together” is “not a cry for help, but a call to arms”, he said. So after a FILLED attempt to close Lewisham A&E Health Secretary changed the law! They are now downgrading (not closing) several A&E Departments. By ‘downgrading’ read closing. The idea is to limit what these A&E Units are equipped to treat, so a heart attack is no longer treatable at these A&E units. This clearly will impact on getting timely care for a time seventies illness. Whatever you think of these proposals, Imperial does not want to know. There will be no public consultation on the plans for Charing Cross and St Mary’s. Nor do they care about adequately informing you. Public information on the closure of Hammersmith and Central Middlesex A&E has not started, six weeks before closure, but £300,000 has been paid to PR consultants, including £55,000 to M&C Saatchi. So the democratic system no longer applies to YOUR health care. People have a right to decide what happens to their local services, taking away this right (for whatever reason) is wrong. I will update this post, if you want to be informed subscribe. 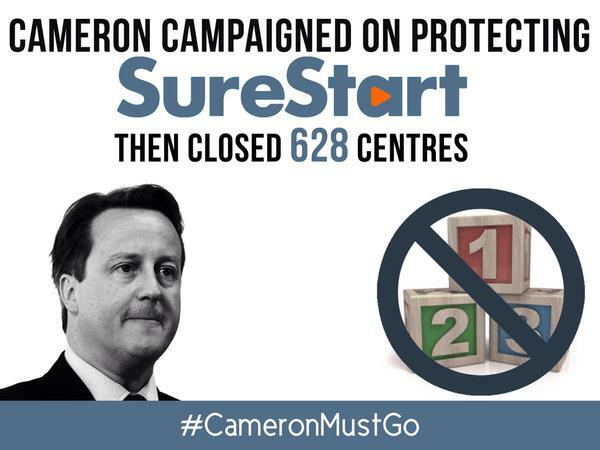 2 November 2009 Cameron said: “With the Conservatives there will be no more of the tiresome, meddlesome, top-down re-structures that have dominated the last decade of the NHS. they are not defensible in the way they were placed within a Budget that benefits higher earning taxpayers. They should have instead been part of a wider process to engage others in finding the best way to better focus resources on those most in need. The PMs response to the letter is an insult. Now I had job, I loved my job. I became disabled and was not allowed back.I asked my Local MP for help. I asked The Minister for Disabled People – Got nothing. Ok not true got a fantastic letter saying ministers are busy. 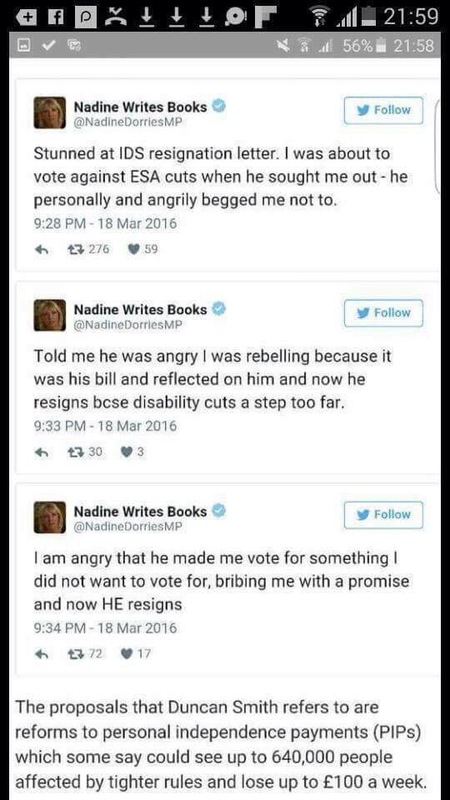 So I nothing of this MP whos somehow got the top job at the DWP. I’m sure Priti Patel is over the moon. Having read his They ‘WORK’ for You profile I feel safe knowing he’ll soon be as loved as IDS. I understand PMs have a very low moral inner voice, however the Tory voice is stuck on mute. 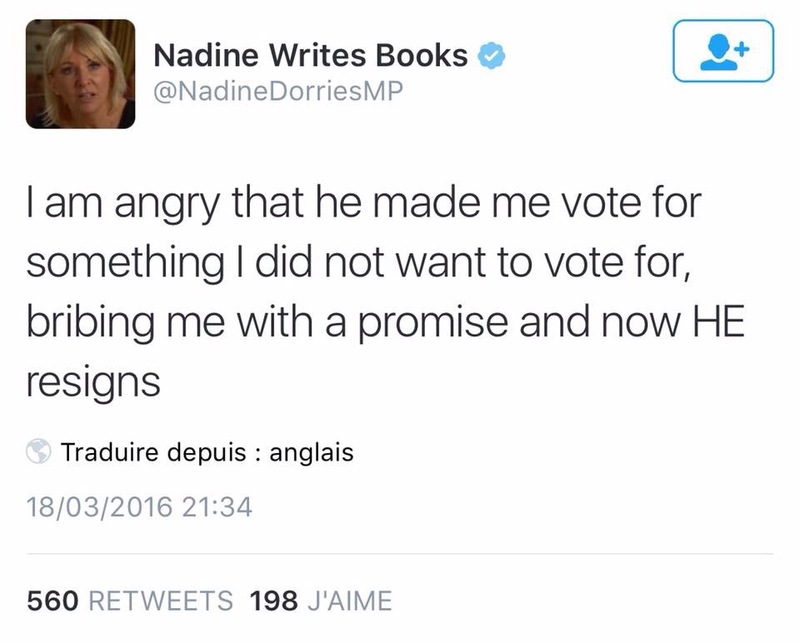 The recent Twitter display by Nadine Books over IDS registration, was an utter disgrace she basicly addmits to “selling” her vote. Her constituents voted for her to represent them not the intrestes of fellow MPs. 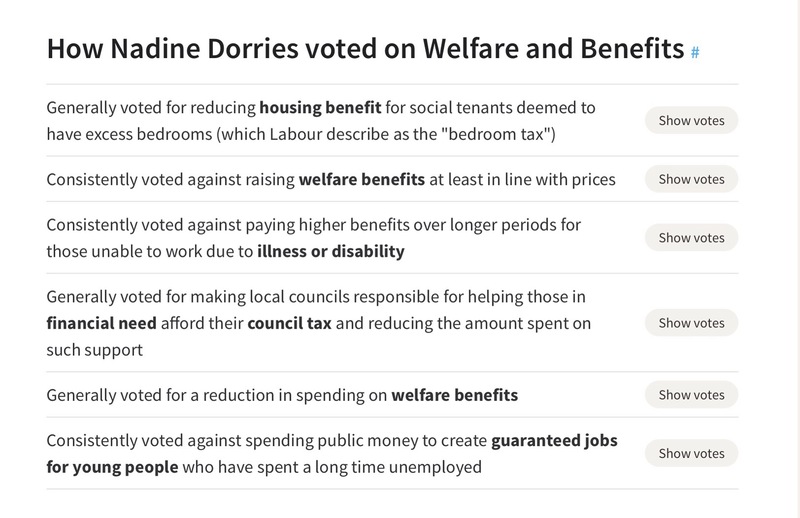 Her voting record. They ‘WORK’ for You tells a diffrent story, shes looking for scapegoat and IDS was their. Most of the Politian’s nowadays are public school career boys that have no idea about everyday life. 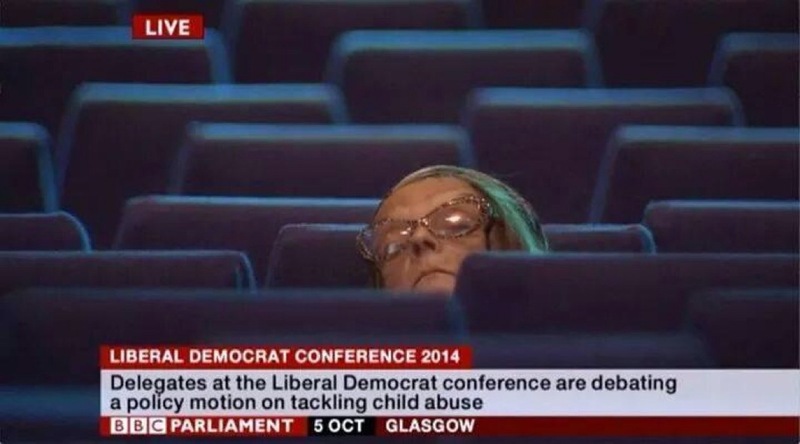 My vote will be UKIP to get rid of all these parasites. Please do not vote UKIP as a ‘revenge’ vote!